Jio is giving free 8 GB 4G data, know how to get in your number, use it free now - mobilereview.online - The Ultimate resource for mobile phones reviews, specification, information. Fan following of Reliance Jio is constantly increasing. The only one to offer the only 4G service in the country, Jio also takes special care of its users. 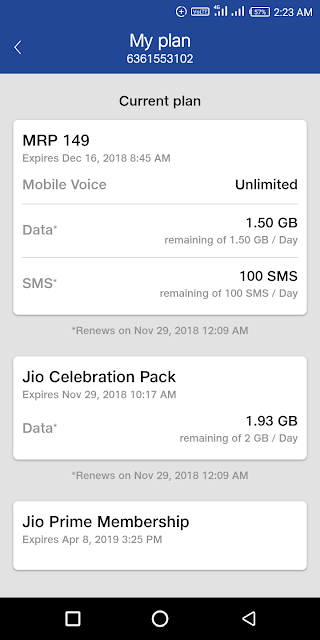 Two months ago, Jio started giving 8GB data extras to the number of users who had given the name of 'Jio Celebration Pack'. 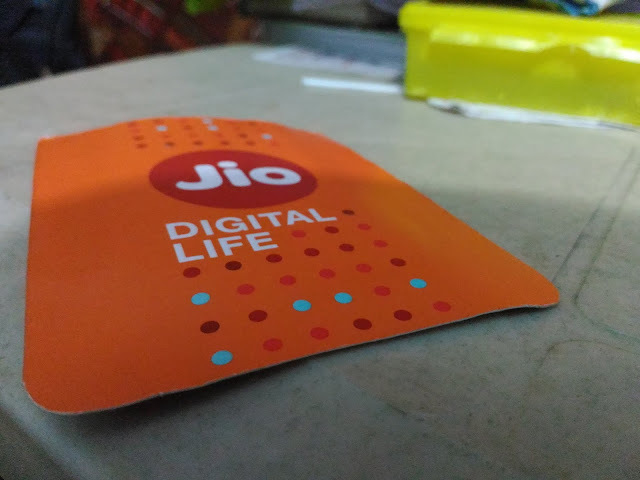 Jio presented this pack with the joy of celebrating the completion of two years of the company. Right now, Reliance Jio has come up with this pack in which live customers get 8GB 4G data for free. 'Jio Celebration Pack' has been started on behalf of Reliance Jio. This pack is available to the users completely free of charge. Under this pack, customers will receive 2 GB 4G data in one day. This pack is available with validity of 4 days. That is, a total of 8 GB 4G data for 4 days. This 8 GB data from Jio is being given free of charge, which can be used to watch the video and download the media content, and according to its will, it can be done in anybody's service. If you also want to know whether you got 8 GB of free data or not ..
3. Your plan will appear at the top of My Plan and under this you will get 'Jio Celebration Pack' along with other offers. 4. With the Jio Celebration Pack, you will be informed of the expiry date of this pack, i.e. the date of free internet data will be given. It is worth noting that all users of this pack are not being given together by Jio. Users of different circles will receive 8 GB of data and the whole month of November and December. A user can take advantage of the Jio Celebration Pack only once. I got it already sir, thanks for the info.